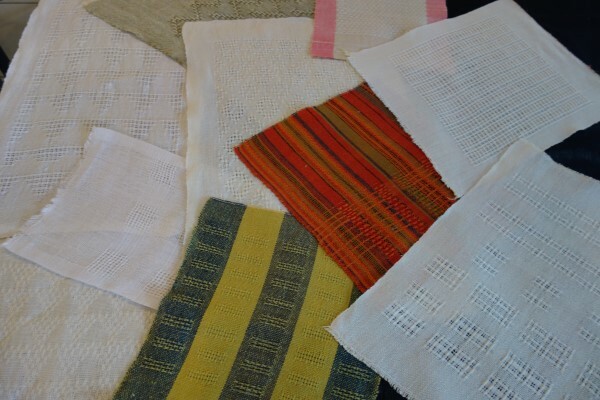 In this workshop students will weave a collection of small items (in essence useable samples). 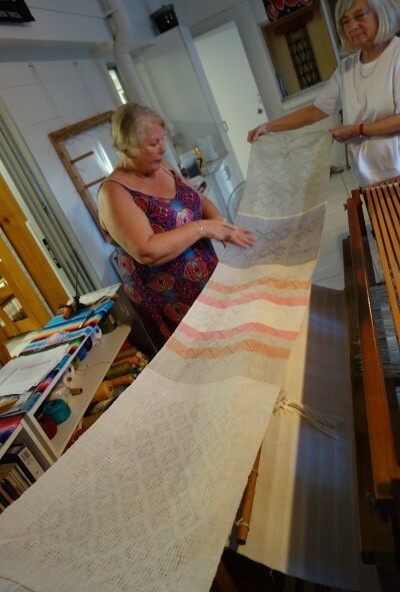 They will then have the opportunity to weave projects of their own design on these warps, or warp and weave their own project. Linen is easy to work with provided you get the basics right. Linen and lace work perfectly together. 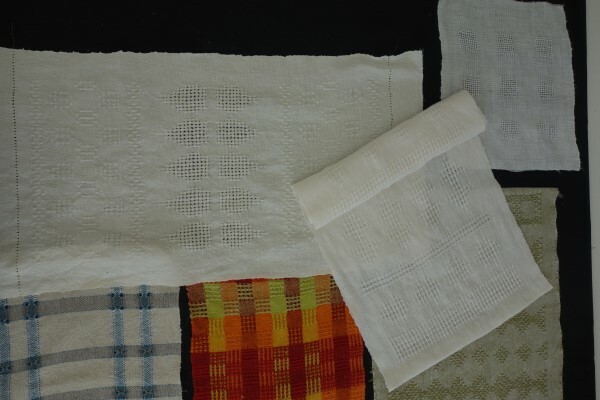 Linen holds the form of the openness of the structure of lace, while lace weaves highlight the characteristics of the essence of linen as a fibre. Each loom will be set up in a different structure or effect. Some of the structures covered will be huck, bronson, swedish lace, and leno. The number of topics covered will relate to the number of students attending. Looms will be pre-warped for basic samples or small projects. This means that students will be weaving on day 1. 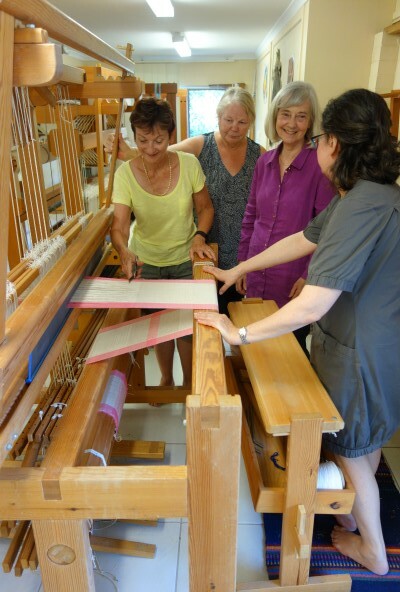 However students will also have the experience of putting on the perfect warp. These may be for additional group samples. Unless it is for their own project, they will not be required to spend time threading the loom. Alternatively students may wish to work on their own projects. The time of year: Summer in Brisbane should be perfect. Linen works beautifully in humidity. 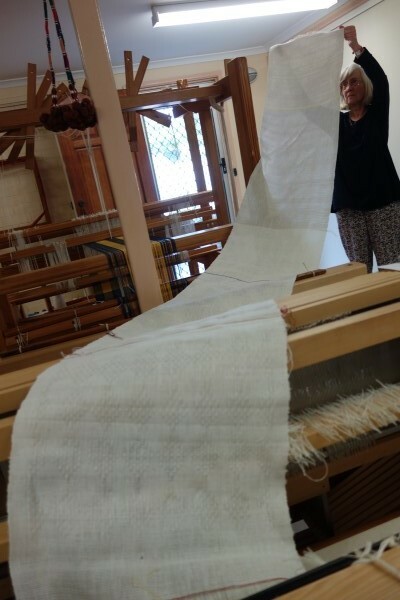 How to put on the perfect warp: such an essential for weaving with linen. 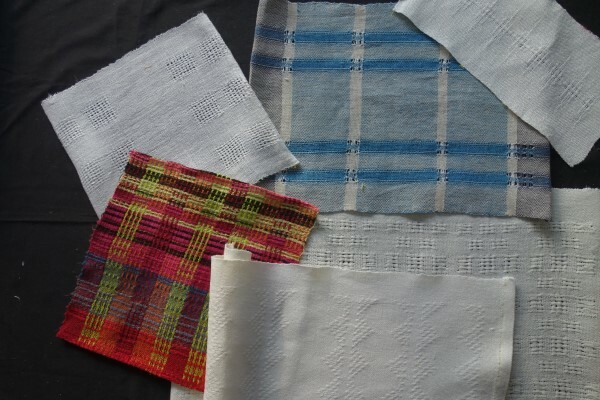 How to weave with linen: managing the process. Theory: Developing a profile draft. Theory: The characteristics of each structure and basic draft. Theory: Converting the profile draft into the different lace weave structures. Theory: Achieving lace without using a “lace weave” structure. 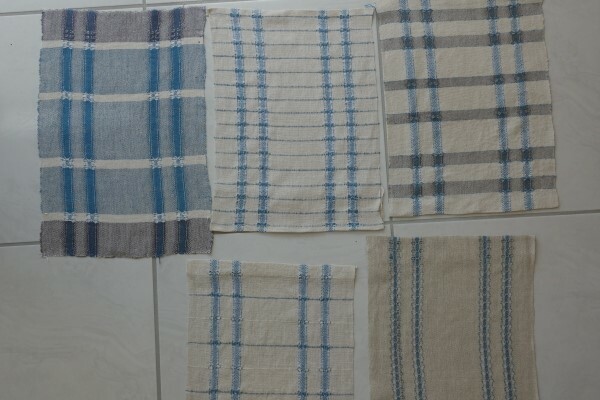 Design in general and appropriate for each warp. Also for individual projects if this is your choice. Students to provide their own yarn if they decide to weave their own project. It is important to discuss what you wish to weave if you decide to design and weave an individual project prior to the workshop. Unlike previous years each student wished to work on an individual project. For some the emphasis was on developing skills in design. 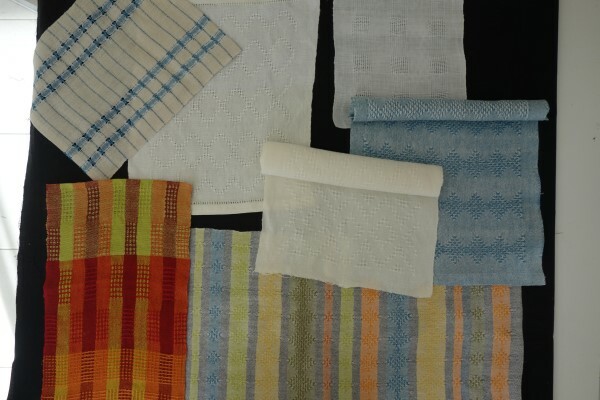 By the way one student couldn’t organise her linen in time so she worked on a different project and will return to her planned project later.